The Air Force Reserve is an integral part of our country's dominant presence in air, space and cyberspace. 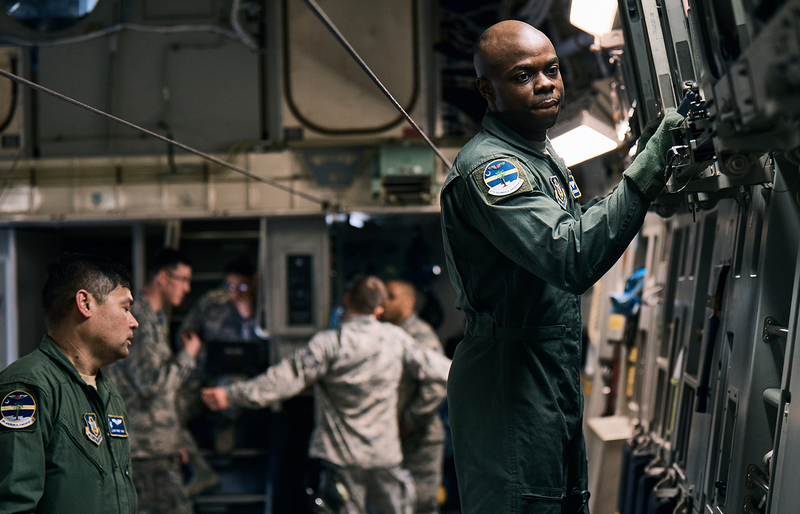 With readiness as its primary charge, the Air Force Reserve contributes daily to the Air Force mission and is actively involved in operations around the world. Service members share their view on the Air Force Reserve. Senior Airman Jessica Eastburn: Joining the Military completely focused me. I realized that I did have goals that I wanted to achieve, and that I had a plan for my life. Staff Sgt. Tara Currah: I am in the Air Force Reserve as a Security Forces Member, which is the same as military police. As my civilian job, I am a full-time student at Washington State University, and the director of activities for student government. Senior Airman Jessica Eastburn: There’s huge differences in my career in the Air Force and my life on the outside. I enjoy the difference because it’s kind of a break, and I think it makes me more well-rounded as a person, so I don’t get stuck in just one area of interest. Staff Sgt. Tara Currah: Being in the Reserves has definitely helped me in my civilian life. It’s given me a lot of opportunities as well as experiences to succeed. To join the Air Force Reserve, you must be between 18 and 38 years old (17 with parental consent). While exceptions are sometimes made for candidates with GEDs or other high school equivalents, high school diplomas are preferred. The ASVAB test is used to match recruits with jobs. As with full-time Air Force recruits, reservists spend eight and a half weeks in Basic Military Training at Lackland Air Force Base in San Antonio, Texas. During this time, trainees develop the discipline, confidence and skills to grow into Airmen. Members of the Air Force Reserve develop valuable career skills and character traits that civilian employers find desirable. Exciting career opportunities include aircraft maintenance, cyber operations, intelligence, space operations and many others. There are also options available in the full-time Air Force. Keep in mind that you can also serve part time through the Air National Guard. The Air Force Reserve offers many of the same employment benefits as the active-duty Air Force, with the flexibility to train near home and maintain a civilian career until needed. Reservists are paid for all time spent drilling and deployed, and they have access to the same professional training as full-time service members.